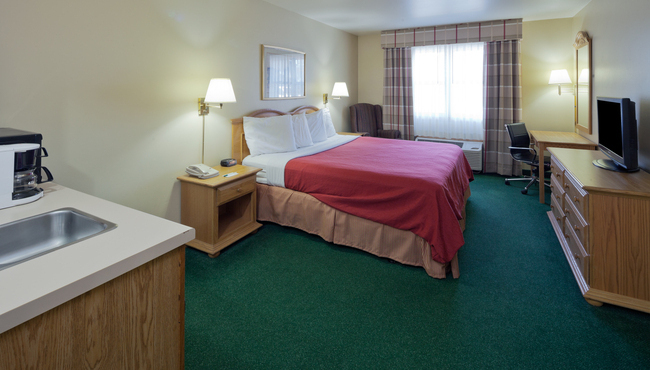 Conveniently situated off I-90, the Country Inn & Suites® by Radisson, Sparta, WI offers the perfect retreat for guests visiting the Bicycling Capital of America. 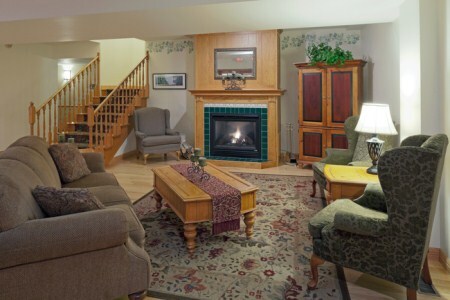 Our hotel’s convenient location provides easy access to the La Crosse River and Elroy-Sparta State Bike Trail, as well as other nearby attractions like the River Run Golf Course and the Deke Slayton Memorial Space & Bicycle Museum. Spend the day horseback riding at Redrock Trail Rides, or visit Ben Bikin’, the 32-foot statue of the world’s largest bicyclist overseeing downtown. Add a little romance to your vacation by reserving a Whirlpool Suite featuring a king bed and an in-room whirlpool for two. Stop by the breakfast room each morning for our free, hot breakfast. Indulge in favorites like fluffy waffles and crispy bacon, or savor delectable pastries and unlimited coffee. When you get hungry for lunch or dinner, check out one of the nearby local restaurants like Ginny’s Cupboard for delectable paninis and ice cream sundaes or Sparta Family Restaurant for juicy burgers. La Crosse River State Trail – You’ll understand Sparta’s claim as the Bicycling Capital of America when you visit this 22-mile trail developed from the abandoned railroad between Sparta and La Crosse. Less than 15 minutes from the hotel, the trail runs into the Elroy-Sparta State Bike Trail, another cycling destination popular for its old railway tunnels. Deke Slayton Memorial Space & Bicycle Museum – This commemorative museum is named for one of America’s first astronauts, Deke Slayton, and is also dedicated to the history of Sparta as the first Rails to Trails town in the country. See over 80 bicycles, dozens of model planes and an actual piece of the moon, all located just two miles from the hotel. River Run Golf Course – Rated as a three-star course by Golf Digest, River Run is a must-see for golfers. Enjoy teeing off on the lush greens along scenic Perch Lake, just three miles from the hotel. After playing 18 holes, enjoy a delicious burger at the Greens, a bar and restaurant located in the clubhouse. 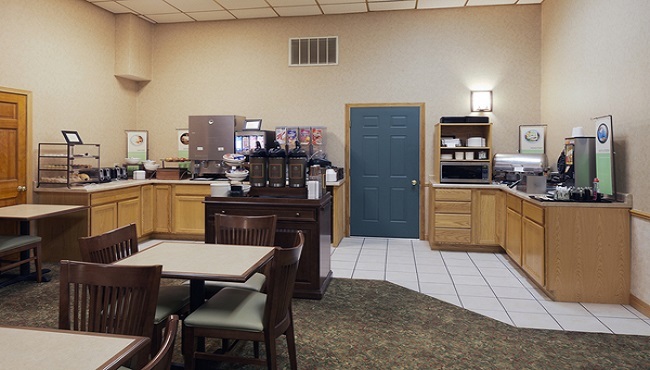 For a convenient venue right off I-90, reserve the elegant meeting room at the Country Inn & Suites for up to 50 guests. Allow our friendly staff to assist with room setup and event logistics while you entertain your guests.